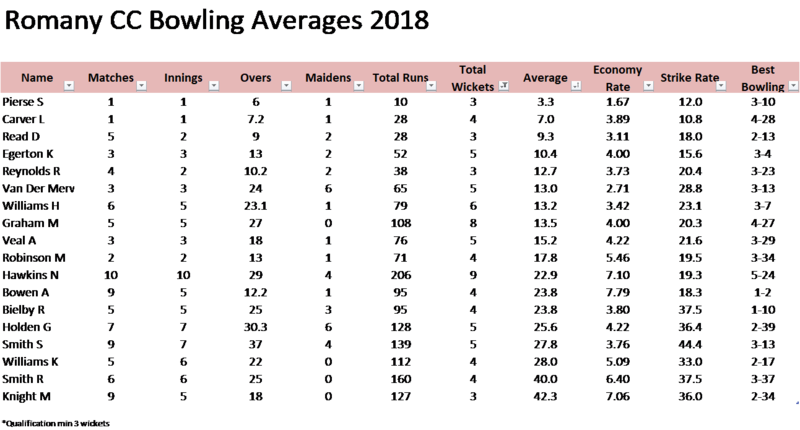 Below are the abbreviated overall averages for the 2018 season for Romany CC. In the batting, club captain Matt Knight topped the table with 276 runs at an average of 55.2. Matt narrowly pipped Sam Smith as the highest run scorer, by only 3 runs. 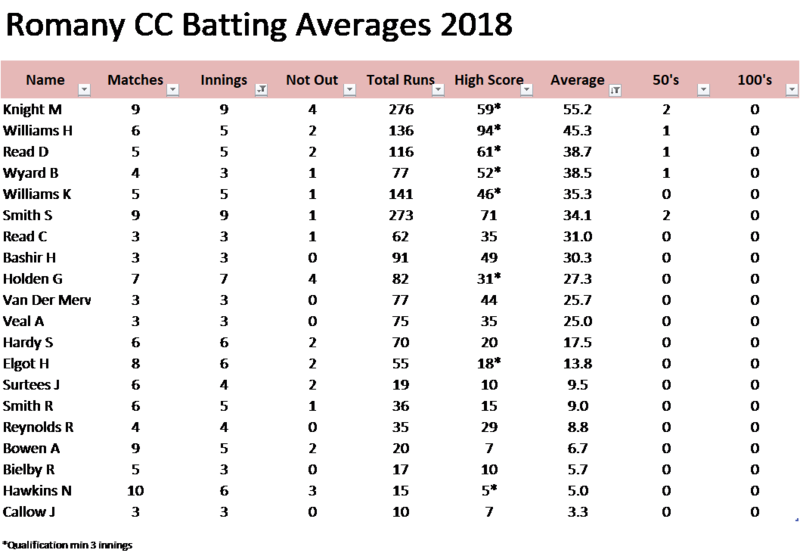 The club batted strongly all year with 8 players averaging over 30 and 7 50’s scored overall. In the bowling, the leading wicket taker was Nick Hawkins, with 9 wickets in total including a great 5-for at Burnt Yates early in the season. The averages were topped by S Pierce, taking 3/10 in the Yorkshire Gentleman match. Romany CC 2018 Fixtures Now Live! http://www.romanycricketclub.com/wp-content/uploads/2017/07/avatar-5.jpg 400 400 Rob Smith http://www.romanycricketclub.com/wp-content/uploads/2017/07/logo2.png Rob Smith2018-05-13 19:31:392018-05-13 19:31:39Romany CC 2018 Fixtures Now Live! 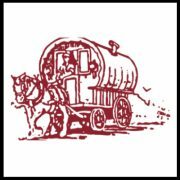 The Romany CC AGM will take place at Headingley 6.30pm Tues 13th March 2018- please save the date.